Welcome to our 2017 Quarter Newsletter! We have some exciting (okay, so only if you love tax) tidbits of information for you. But seriously, there have been a lot of changes to law and legislation that has been announced recently that applies now or is set to change come the new financial year. These changes may change your obligations and requirements for your business and/ or your personal tax and we feel it is important to give you the heads up. So kick back, grab a glass of wine and channel your inner tax nerd. As part of their data matching programs for credit and debit cards, online selling and ride sourcing, the ATO is collecting data from financial institutions and online selling sites. The ATO matches this data with information they have from income tax returns, activity statements and other ATO records to identify any discrepancies. Tip! If you need to correct a mistake you have made in your income tax return, call us and book an appointment to get it sorted. The ATO has designed a data matching program to track ride sourcing transactions to deal with compliance risk associated with the registration, lodgement and reporting of businesses offering ride sourcing services as a driver. It is estimated up to 74,000 individuals (ride sourcing drivers) offer, or have offered, this service. The ATO will request details of all payments made to ride sourcing providers from accounts held by a ride sourcing facilitator's financial institution for the 2016-17 and 2017-18 financial years. The ATO will match the data provided by the facilitator's financial institution against the ATO’s records. This will identify ride sourcing drivers that may not be meeting their registration, reporting, lodgement and/or payment obligations. Where the ATO is unable to match a driver's details against ATO records, they will obtain further information from the financial institution where the driver's account is held. The protocol has been prepared to meet the requirements of the Office of the Australian Information Commissioner's Guidelines on Data Matching in Australian Government Administration (2014) (the Guidelines). This will impact you if you offer ride sourcing as part of your business. To Do! Let us know if you offer ride sourcing as part of your business so we can make sure we’ve got the correct information. In the September 2016 issue of TaxWise Business, they noted that the Budget Savings (Omnibus) Bill 2016 which contains the Single Touch Payroll rules, had been introduced into Parliament. This has now become law. With the Single Touch payroll regime, employers will be able to report salary or wages, pay as you go (PAYG) withholding and superannuation information to the ATO from their payroll solution, at the same time they pay their employees. This will mean easier reporting obligations and more options for completing tax and super forms electronically. From 1 July 2017 Single Touch Payroll reporting will be available to all employers. It will be mandatory for employers with 20 or more employees to report this way from 1 July 2018. FYI! Only employers with 20 or more employees must report this way under the law. To do! If you are an employer with 20 or more employees, you will need to revise your reporting to the ATO to ensure it complies with the requirements of the Single Touch Payroll regime. On 14 December 2016, Minister for Revenue and Financial Services, the Hon Kelly O'Dwyer MP, announced that the government had established a taskforce to crack down on the ‘Black Economy'. Ms O'Dwyer said, “While there is no single, internationally-agreed definition, typically, the ‘black economy’ refers to people who operate entirely outside the tax system or who are known to tax authorities but deliberately misreport their tax (and superannuation) obligations. The ‘black economy’ can also include those engaged in organised crime, including those who engage in the production and sale of prohibited goods." The ‘Black Economy’ Taskforce, to be chaired by former chair of the B20 anti-corruption taskforce, Mr Michael Andrew AO, will provide an interim report to government in March 2017. Tackling the ‘black economy’ requires a whole of government approach and participants will include the Reserve Bank of Australia, the Australian Federal Police, ASIC, APRA, AUSTRAC, and the Departments of Human Services and Immigration. In October 2017 the Taskforce will provide a final report which will include an overarching whole of government policy framework and detailed proposals for action to counter the ‘black economy’. In the 2016-17 Budget, the government announced it will make targeted amendments to improve the operation and administration of Division 7A of the Income Tax Assessment Act 1936. What is a Division 7A Loan? Broadly, if you or an associate (in essence, related people or entities) have loaned money from your company and have not repaid it by 30 June or prior to the company lodging its tax return, then the loan may be subject to Division 7A of the ITAA1997. The proposed changes draw on a number of recommendations from the Board of Taxation's post-implementation review into Division 7A. To do! This change may impact you if you have private loans from your business. In that case, you may want to book an appointment with us for advice regarding your situation. The ATO recently released Taxpayer Alert TA 2016/12 cautioning against arrangements that minimise tax by creating artificial differences between the taxable net income and distributable income of closely held trusts. Deputy Commissioner Michael Cranston said the ATO is investigating arrangements where trustees are engineering a reduction in trust income to improperly gain favourable tax breaks, or sometimes pay no tax at all. The ATO identified these arrangements through ongoing monitoring and reviews by the Trusts Taskforce, and continues to look for these arrangements using sophisticated analytics. The Trusts Taskforce was established in 2013 to undertake targeted compliance action against people involved in tax avoidance or evasion using trusts. Since this time, the ATO has raised $772 million in liabilities and collected $164.5 million. In addition to cash collected, assets of $55 million have been restrained under proceeds of crime legislation. If you take items from your business’ trading stock for your own use, make sure you include the value of these items as part of your business’ assessable income. Mixed business (including milk bar, general store and convenience store). For more information on amounts the ATO accepts as estimates and small business benchmarks, visit the ATO’s website. Note! If you are unsure how to treat stock used for private purposes in your account for tax purposes, book an appointment with us to discuss your obligations and options. It is imperative that businesses keep all their business and client information secure. Lost or compromised data can be very difficult or very expensive to recover. In the 2015-16 Budget, the government announced that the application of the GST will be extended to cross-border supplies of digital products and other services imported by Australian consumers. This includes digital products such as streaming or downloading of movies, music, apps, games, e-books as well as services such as architectural or legal services. Under the new law, overseas businesses will be required to pay GST on these sales from 1 July 2017. If you have interactions with overseas businesses that supply digital products and services to Australian consumers, let them know they may be subject to the transitional rule for GST. Supply digital products and services before 1 July 2017 and continue after this date. The portion after 1 July 2017 is subject to GST. A simplified system will be available on the ATO website from 1 April 2017 for these businesses to electronically register, lodge and pay GST. To do! Get in contact with us about the GST implications for you if goods and supplies you have been acquiring from an overseas business that you may have been using in your business become subject to GST. In the 2016-17 Federal Budget, the government confirmed that from 1 July 2017, the GST will be extended to low value imports of physical goods imported by consumers. A vendor registration model will be used where non-residents with an Australian turnover of $75,000 or more will be required to register and charge the GST. An exposure draft outlining the proposed law changes and application was released for public comment. More information will be provided as this measure progresses. From 1 July 2017, GST will apply to cross-border supplies of digital products and other services imported by Australian consumers. The registration turnover threshold is A$75,000. If you meet this amount and make these supplies you will be required to register for GST. From 1 October 2016, certain transactions between overseas businesses and Australian businesses are no longer subject to GST. Review your enterprise arrangements and consider whether you still need to be involved in Australia’s GST system. From 1 July 2017, GST will apply to imported low value goods. This includes all physical goods sold to consumers and imported into Australia that have a value equal to or less than A$1,000. These goods are currently exempt from GST. Meet the registration turnover threshold of A$75,000. To do! Speak with us about how the change in GST status of overseas business you transact with may impact on your own GST obligations. If your business is registered for GST, most of the sales in Australia will include GST. Pay the GST you've collected when you lodge your activity statement. GST free – such as most basic foods, some education courses and health care products and services. Input taxed – such as lending money and renting out residential premises. You can claim a credit for any GST included in the price of goods and services that you purchase for your business and use to make either taxable or GST-free sales. This is called a GST credit. You can't claim a GST credit for the GST included in the price of purchases you use to make your input taxed sales. Note! We know when you can and can’t claim GST credits. We can ensure you put the right information into your activity statements and make the right claims for GST purposes. The ATO has been working to make business activity statement (BAS) reporting simpler for small business. To do! Talk to us to find out how this may impact on your activity statement reporting to the ATO. The ATO has collaborated with industry representatives to develop a safe harbour for car fringe benefits. 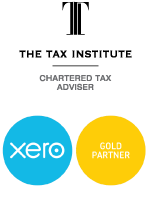 A safe harbour is a guideline that allows businesses to make use of an efficient way to calculate their tax where certain conditions are met. This safe harbour will simplify the approach for working out the business use percentage of car fringe benefits for fleets of 20 cars or more. The new approach reduces the record-keeping burden for the business clients. It allows the use of an ‘average business use percentage' when using the operating cost method. To do! Speak with us to find out how safe harbour works. The ATO is contacting businesses in the building and construction industry about their overdue taxable payments annual reports. If you are in the building and construction industry and have not lodged your 2016 or any prior year taxable payments annual reports, now is the time to get them back on track to avoid penalties. Regardless of where you claim contractor expenses in your tax returns, if you have paid contractors for building and construction services, you need to lodge a taxable payments annual report. You must lodge your Taxable payments annual report online using the Business, Tax Agent and BAS Agent Portals. The ATO only accepts reports that meet these specifications. Business software that meets the ATO's requirements. Tip! Completing your Taxable payments annual report can be difficult and is something you do not want to get wrong. Get our help to make this a smooth and easy process. New rules apply to vendors disposing of certain taxable Australian property under contracts entered into from 1 July 2016. A 10% non-final withholding will be applied to these transactions at settlement. To avoid incurring the 10% non- final withholding, Australian resident vendors selling real property will need to obtain a clearance certificate from the ATO prior to settlement. This new withholding legislation assists the collection of foreign residents' Australian tax liabilities. It imposes an obligation on purchasers to withhold 10% of the purchase price and pay it to the ATO, where a vendor enters into a contract on or after 1 July 2016 and disposes of certain asset types (or receives a lease premium for the grant of a lease over Australian real property). The foreign resident vendor must lodge a tax return at the end of the financial year, declaring their Australian assessable income, including any capital gain from the disposal of the asset. Note! If you are buying or selling property and a foreign resident party is involved in the transaction, it is best that you discuss this matter with us. We will ensure you meet your tax obligations in relation to this transaction. The superannuation reforms passed into law in December 2016. FYI! The September 2016 edition of TaxWise Business covered the superannuation reform package extensively in detail. To help taxpayers understand the new superannuation reforms, the ATO has also begun issuing guidance which will be released in due course. FYI! We can help you to understand the new reforms and what they might mean for you- come in and see us. Keep accurate records to show they have met their obligations. Note! Despite the ATO developing many tools to help employers meet their superannuation obligations in relation to employees, it is still best for you to consult us for help and support to ensure you meet your superannuation obligations. FYI! Previous editions of TaxWise Business have included information on SuperStream. The deadline for all employers to be SuperStream compliant has now passed. All employers should be paying super and sending the corresponding data in an appropriate electronic format. Note! If you haven't made the switch to SuperStream, we can help you become SuperStream compliant. Do you send employees to work temporarily overseas? If so, you still need to make super contributions in Australia for those employees. Your employees may also have to pay super or social security in the foreign country. A certificate of coverage exempts them from those obligations in countries we have bilateral agreements with. We can use the automated form on the Tax Agent Portal to request a certificate of coverage on your client's behalf. However, you need to grant us access to your certificate of coverage account first. You can do this via Access Manager in the Business Portal. From 1 January 2017, the first $37,000 of a working holiday maker’s income is taxed at 15%, with the balance taxed at ordinary rates. The tax on any departing Australia super payment made to working holiday makers after 1 July 2017 has also increased to 65%. A person is a working holiday maker if they have a visa subclass 417 (Working Holiday) or 462 (Work and Holiday). When they lodge an income tax return, the ATO will work out how much tax they should have paid. If they have paid too much, the ATO will give a refund. If they have not paid enough, the ATO will send the working holiday maker a bill. If you employ (or plan to employ), working holiday makers, you must register with the ATO. Once you register, a withholding rate of 15% applies to the first $37,000 of a working holiday maker's income. From $37,001, normal foreign resident withholding rates apply. If you do not register, you must withhold tax at 32.5% for the first $37,000 of a working holiday maker's income. From $37,001, normal foreign resident withholding rates apply. Penalties may apply for failing to register. From 1 July 2017, departing Australia superannuation payments (DASPs) made to working holiday makers (WHMs) will be taxed at 65%. If an individual holds or has held a 417 (Working Holiday) or 462 (Work and Holiday) visa, they are classified as a WHM. This change is related to a new income tax rate for WHMs which was introduced by the Australian government in December 2016. Payments made before 1 July 2017 will be taxed at the current rate, which is 38% for a taxed-element. Employers of working holiday makers will need to be aware of their relevant obligations. DISCLAIMER. The purpose of this newsletter is to provide information of general interest to our clients. The content of this newsletter does not constitute specific advice; this is generalised information, not specific to your personal needs and requirements. Readers are encouraged to consult us for advice on specific matters. The Tax Institute. 2017. ‘Taxwise Business News February 2017’, Tax Wise Business News e-newsletter, February.